I cut the sides of my saw till to look like .. well, a saw. At least that's what it looked like to me. 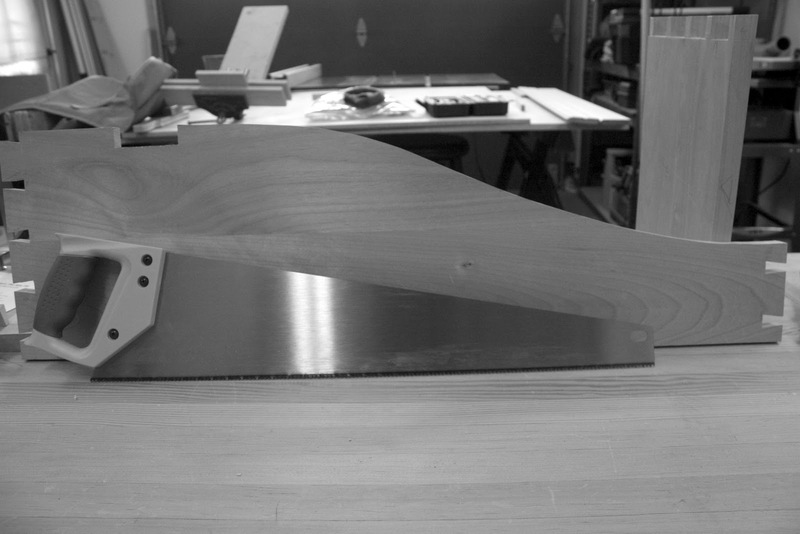 I cut this using the band saw and then used my new Veritas® Low-Angle Spokeshave. Umm .. I've used a spokeshave before and I found it to be a difficult endeavor. I love my new spokeshave. Wow! , it was so easy to use and left a beautiful surface. I'm hooked! Previous Previous post: A sneek peek ..